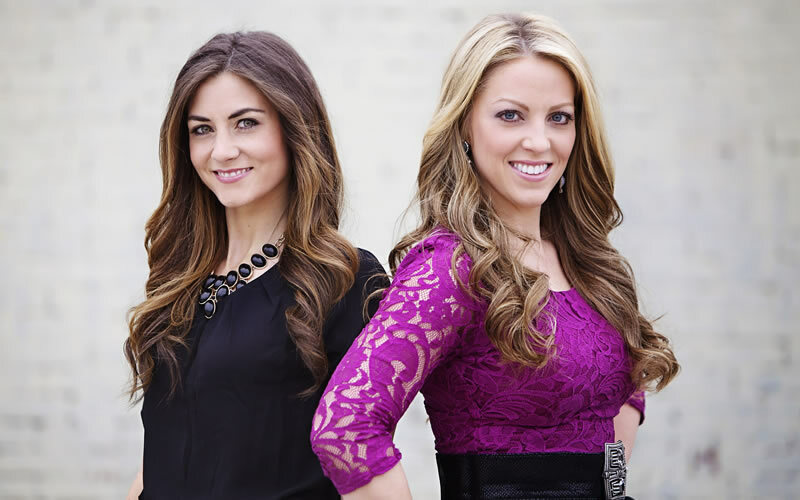 Royal Flair Events, formerly Haye Ink, is a boutique event and design firm located in Brentwood, Tennessee. Founded by Jennifer Haye, Royal Flair Events specializes in creating intimate social gatherings, festive themed parties, and lavish celebrations. Royal Flair Events is committed to providing each client with exceptional customer service, attention to detail and a unique and notable design for their specific event. If it can be imagined, we can create it. 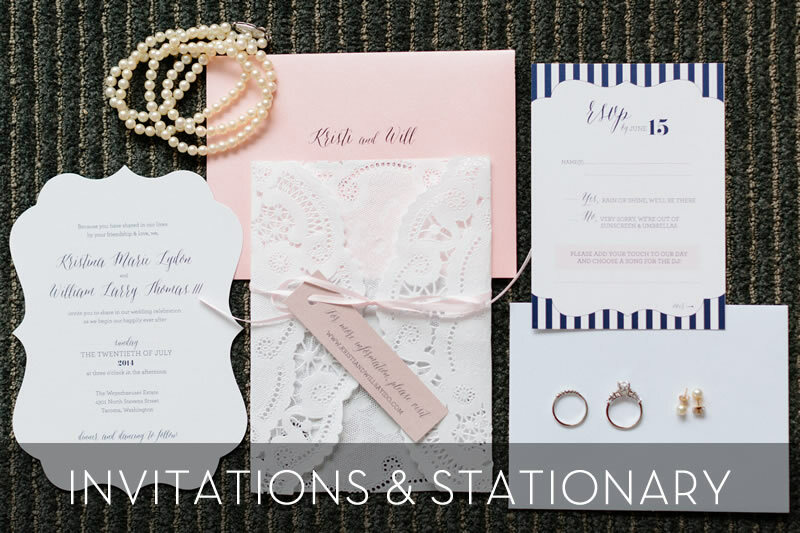 When no cookie cutter invitation or run of the mill location will do, Royal Flair Events is the perfect choice to help you plan your special event. With over 7 years experience in the party planning world, Royal Flair Events offers only the highest level of creative, personalized wedding and event planning service. We partner with only the finest, most reliable vendors in the industry. Whether traditional, unique, casual or formal, Royal Flair Events pushes the boundaries of special event design, creating for you an unforgettable event. Congratulations on your special day! Royal Flair Events is here to assist you in planning your wedding and make all of your wedding day dreams a reality. RFE offers three different wedding planning packages based on your individual needs. Please contact us in order to set up a consultation, get more detailed information regarding our wedding coordination services, and to decide which plan will best work for you. Designed for the bride who desires a full scale planning process who either would like help during the entire process or does not have the time to devote to her wedding. Royal Flair Events will then work on making that dream become a reality by venue scouting, budget creation and management, assistance in selecting a catering company and menu items, scheduling meetings with photographers, delicious bakery’s, and much (oh so much) more. In addition we will provide on-site event management and direction for all event professionals, bridal party and even guests the day of your event. We’re the first to arrive and the last to leave. If you want a perfectly planned wedding, this covers it all. Our most flexible planning option. For the bride who has a sense of what she wants for her wedding day, but needs a little guidance making it come to life! This also includes many other services and day of coordination. You spent the time planning, now relax and enjoy your big day while Royal Flair Events makes sure it all runs smoothly! In the final 4 weeks prior to your wedding day we will develop and manage a meticulous timeline, confirm your vendors, attend and coordinate the ceremony rehearsal, and offer full event coordination on the day of your wedding. Event Styling involves all of the creative and decorative aspects of your wedding or event. Royal Flair Events will create for you a beautifully designed and visually appealing event that your guests will talk about for years to come. Our full event styling services include working with you on your colors and theme, floral design, centerpieces, rental choices, decorative props, and set builds. We consult with you on your printed materials and make contact with all your vendors so that we all coordinate with your events style. Our services are customizable to include full event styling, reception styling or simply added touches to make your wedding day perfectly polished. Ask us how you can add event styling to your wedding package! The perfect addition to any event! 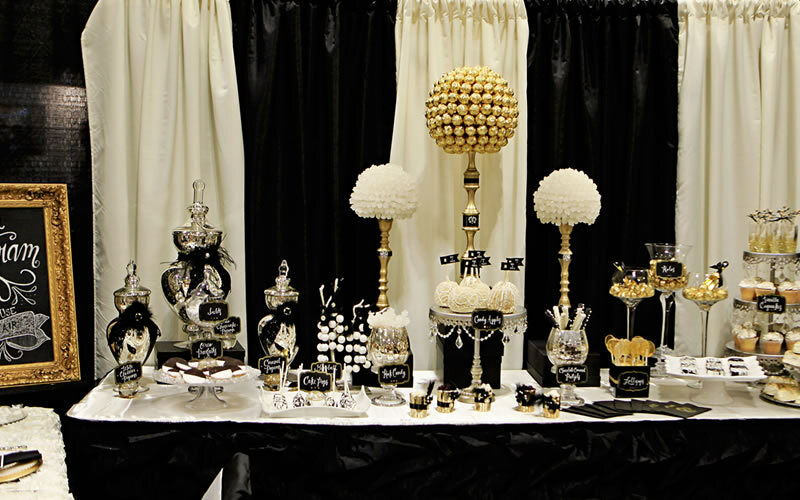 Royal Flair Events specializes in styling candy and sweets buffets to coordinate with your event style, theme and colors. Please fill out our contact sheet for us to provide you with a quote. 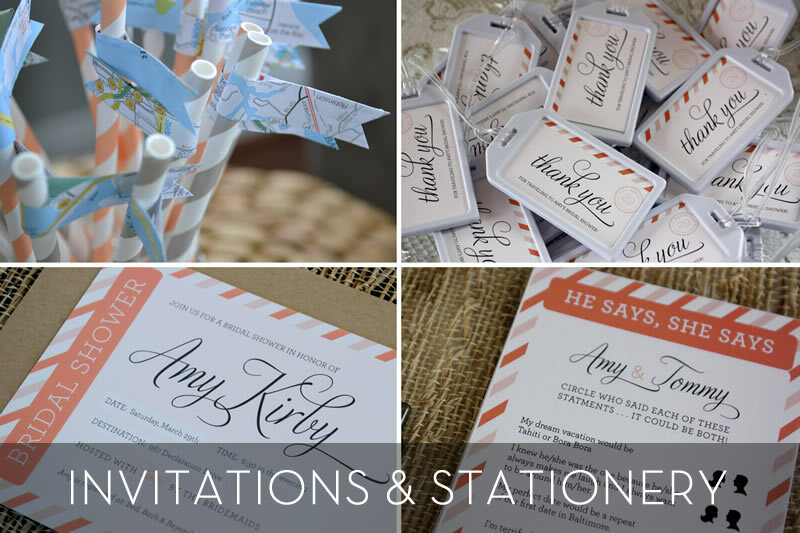 Everything from event stationery to custom invitations. Contact us for a price quote. Need advice on how to put together your wardrobe, or have no idea where to start? Brooke can help you create your best look. All personal styling services available for men, women, and children too! We love new requests and are constantly adding new treats to our menu. Jennifer has been planning events since 2009. 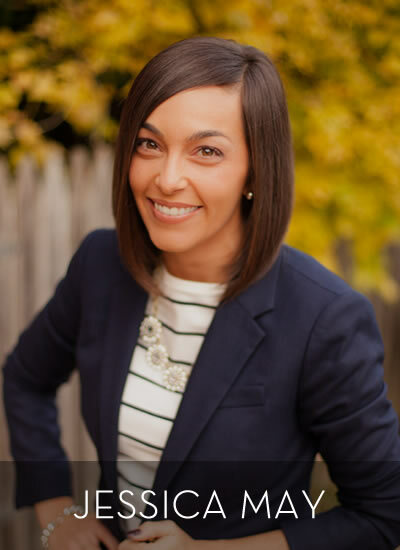 With a focus on client service, she aims to provide personalized attention throughout the entire planning process. She creates unforgettable celebrations while bringing a fresh perspective to the mix. Jennifer’s previous experience includes birthday parties, showers, send off parties, corporate and red carpet events. She has worked sponsorship deals with Red Bull, BMW, Crown Royal, OGIO, and CAO Cigars and has an extensive list of notable clientele. 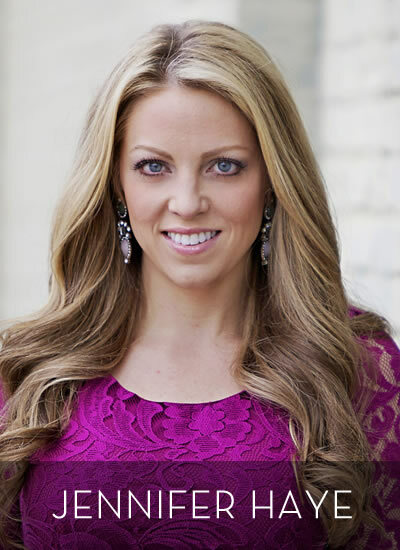 Jennifer’s desire is to always create a memorable event and she finds it a privilege to help your dream come to life. Miranda has always had a love of creating and making beautiful things. 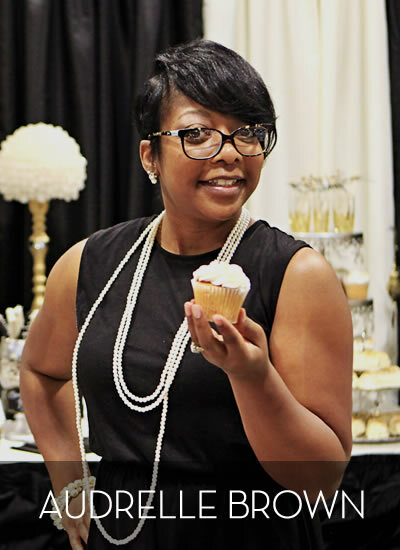 She brings her passion for all things Southern with touches of modern flair to all of her events. Miranda has a great understanding of the big picture and knows how to put things together flawlessly. Miranda has a background in art, including painting and drawing, and has experience in coordinating colors and pieces for notable clients for numerous events. With her warm personality and desire to make each customer fully satisfied, Miranda is sure to make your event a success. Audrelle has been baking and decorating cakes for a little over 6 years. When she first started out on this cake decorating journey, she had never decorated a cake before. She soon became proficient in the art of decorating cakes and baking and has since formed a very prominent clientele. Her favorite things to do in the kitchen is to make chocolate chip cookies and brownies and to come up with ideas for your next cake. 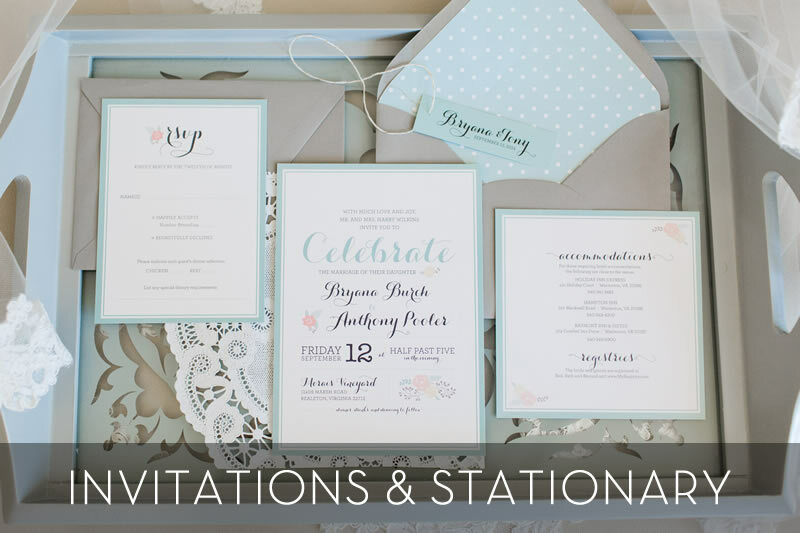 Jessica is a graphic designer who creates everything from event stationery and invitations to fully themed brands. She’s been in the business since 2006 but really it started back when she was little, when she joined the art club in the fifth grade. Despite the fact that it wasn’t something the cool kids did, she remembered the rush it would give her each time she entered the art room. The paint, colored pencils, all the different paper (!! ), she just loved it all! Subsequently her passion led her to receiving her degree in Fine Arts with an emphasis in Graphic Design. She is obsessed with thoughtful typography and clean design, and is still head over heels for all things paper and ink. Jess Creates has been featured on Style Me Pretty, Southern Living Weddings, Grey Likes Weddings, Ruffled, Glamor and Grace, Bump Smitten, WV Weddings, Gold Country Weddings, Estate Weddings, and more! 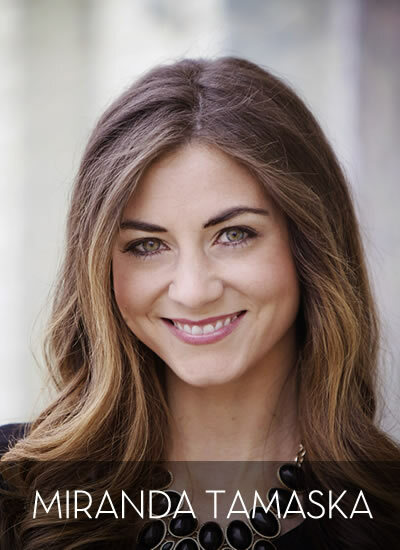 Brooke is a Wardrobe & Image Consultant bringing her fashion & styling expertise to the Royal Flair Events team. She offers full service styling services and is also experienced in doing hair and makeup. Need advice on how to put together your wardrobe, or an idea of where to start? Brooke can help you create your best look. She can assist with closet organization & wardrobe advice, personal shopping, styling for special events, and complete styling for photo sessions. 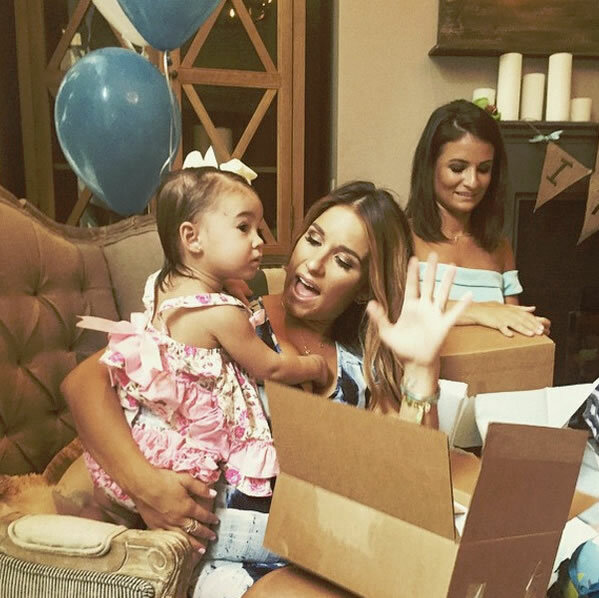 Pregnant Jessie James Decker Celebrates "Beautiful" Baby Shower for Her Upcoming Boy—All the Details! Let the countdown to baby No. 2 officially begin! It feels like yesterday (okay or maybe early March) when Jessie James Decker announced she was expecting her second child with husband Eric Decker. But over the weekend, the country singer was treated to a heartfelt baby shower from her beloved sister Sydney. "I am SO blessed and lucky and just taken back to have this girl right here as my sister! She planned this entire shower, from invites, to gift bags, to decorations, to the games to running everything!!!" Jessie wrote on Instagram Saturday with an assortment of photos. "I can't thank you enough @sydneyraeface for what you do for me." Featuring treats and desserts from Royal Flair Events, the shower also featured gift bags featuring a variety of products including Living Royal socks, Faithful Scents candles and skincare favorites hand-picked by Sydney. 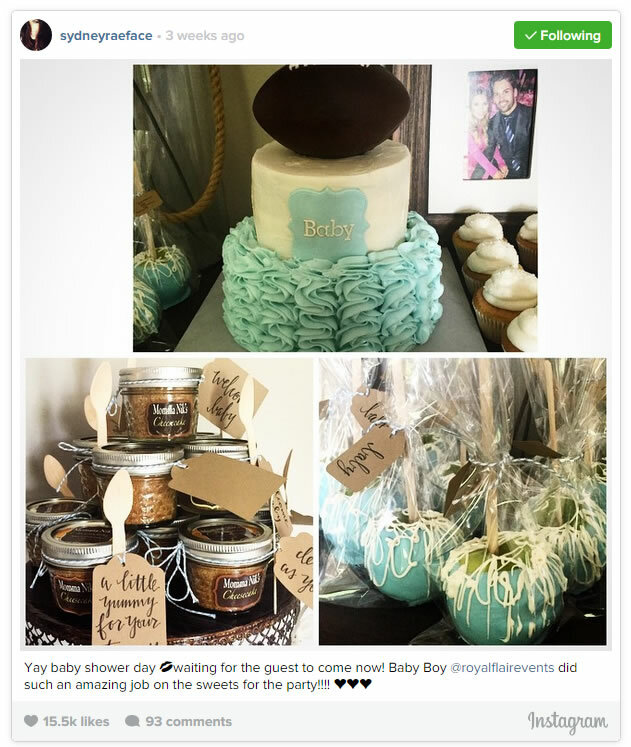 "My beautiful shower for baby boy," Jessie wrote while posing in front of her massive cake that featured a football on top. Sydney added, "Such a wonderful day! 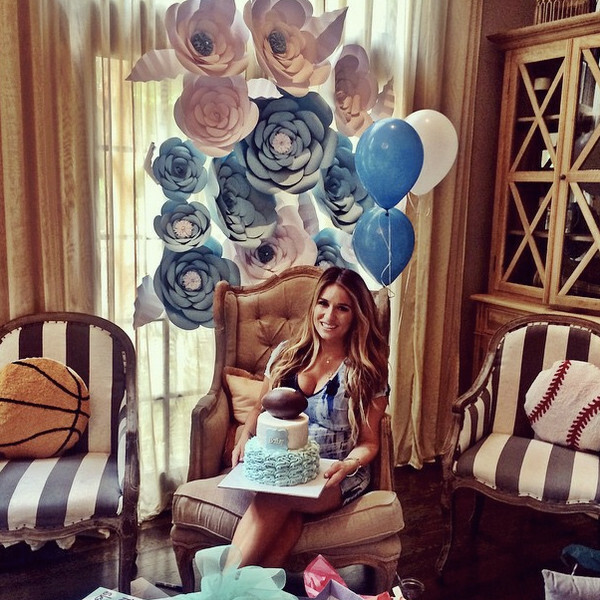 Celebrating baby Decker and my beautiful sister @jessiejamesdecker." While the host of CMT's Redneck Island prepares for another smooth birth, some fans are wondering if a name has already been picked out. As it turns out, both Eric and Jessie have it all handled and they're not ready to reveal anything just yet. "I'm not telling anybody," she recently confessed to Alicia Quarles. What she can confess is the simple fact that baby No. 2 may not be the end for this talented family. Her NFL stud has admitted to wanting a large family and he's not willing to waste any time. "It used to be four [kids] but who knows with this one," Jessie recently shared with E! News. "He might be trying for a fifth and he'll be sneaking in again." Congratulations you two and we can't wait to meet your handsome boy! Event styling, creative consulting, and design. Life's a party...Make it stylish!